We Buy Junk Cars in Arvada, CO.
With the automotive industry booming, the need for new vehicles is soaring. At the same time, the number of vehicles that are abandoned and put away as ‘junk vehicles’ for recycling is soaring even high. However, these vehicles which are deemed to be ‘obsolete’ bring immense value for anyone who’s looking for parts for his vehicles, whilst recycling the parts that can be reused. 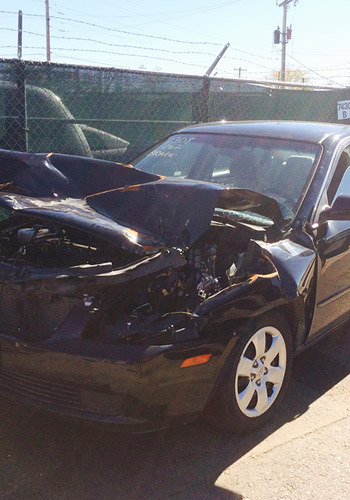 The disposing of parts that can’t be salvaged is another integral part of automotive salvage. With spare parts and accessories for some of the previously high-in-demand vehicles becoming rare, the use of these vehicles is becoming more important by the day. The salvage industry contributes to the mitigation of one of the biggest issues the automotive industry faces, which is the amount of waste it produces. Around 75% of the parts in a vehicle can be reused, which is an ideal way to minimize on the impact of automotive waste that has on the environment. It’s also an economical way rather than using brand new parts for a vehicle. Automotive salvaging has 3 basic steps. The first step is called the ‘Pre-treatment which accounts for the dismantling of the vehicle and draining it of all the fluids. The fluids themselves can either be reused or recycled. The components such as the tires, and battery can be reused as well. The parts such as the front or rear ends, body panels and bumpers, motors, wheels and electronics are high in demand for replacement parts, The remaining parts can be used as scrap metal, after being treated by a crusher, and the nonmetallic parts can be utilized for landfilling. Which all contribute to some kind of a use for your wrecked vehicle. Other than the fact that these vehicles can save you money through cheap spare parts and accessories, another way to save more money from a vehicle repair is to go for scrap vehicles, if the repair in question is an insurance claim. Vehicle lovers always like to find accessories to their rare and out of production vehicles for a cheap price in junk yards. That would not only save them money from having to order brand new parts, but also would keep the vehicles running without issues. A junkyard could help you to earn an extra income as well. If you have a broken down vehicle that you won’t be using, taking it to a junkyard will earn you a reasonable income whilst helping others who are in want of spare parts with a constant supply whilst mitigating environmental pollution caused by scrap vehicles. Therefore, you can earn some valuable cash for your obsolete car if you take it to a junkyard, whilst contributing the society at the same time.